San Diego Mayor Kevin Faulconer has proposed appointing Phil Rath to fill an opening on the Civic San Diego board of directors. Rath served as deputy director of policy for Mayor Jerry Sanders from 2007 to 2010. His policy responsibilities included land use, redevelopment, real estate asset management and major capital projects. Rath is a principal at Rath Miller LLC, a San Diego-based public-affairs firm. 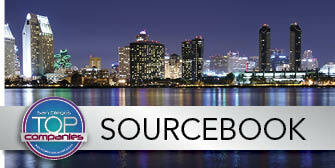 He also serves on the board of directors of the Downtown San Diego Partnership, a strong supporter of Civic San Diego. Faulconer’s appointment of Rath to a term ending May 1, 2017, requires San Diego City Council confirmation. Board member Cynthia Morgan-Reed resigned in the spring, leaving the panel one short of its full nine-member complement. Civic San Diego is a city-owned nonprofit that oversees permitting and planning downtown and handles economic development activities in targeted neighborhoods. Rath said he’s looking forward to taking part in the nonprofit’s discussions about whether to extend its services into other neighborhoods, such as Encanto and City Heights. He said feedback from residents of those neighborhoods should play a key role in whether Civic San Diego seeks to serve additional areas of the city. “I think Civic can only be effective in a neighborhood, including downtown, where there is buy-in from the community itself,” Rath said. Rath also emphasized that since Civic San Diego is a city-owned organization, he hopes to help it pursue the city's priorities. In addition to Rath’s appointment, Faulconer is seeking council confirmation for the reappointments of board members Michael Jenkins, Carlos Vasquez and Theodore Shaw. Their terms would conclude May 1, 2018. The City Council will take up the proposed appointments and reappointments Tuesday. "I would like to thank Mr. Rath, Mr. Jenkins, Mr. Vasquez and Mr. Shaw for their willingness to serve in this capacity and am confident they will bring valuable insight and experience to the Civic San Diego board of directors," Faulconer wrote in a memo announcing the proposed appointments.